At the start of the year, we often look at where churches are heading. What’s very clear is that the knowledge bases of most churches are now only a few months (versus years) behind what the marketing business world does to digitally communicate their message. This doesn’t indicate where churches are but where the knowledge is—no one argues about the power of social media or the use of text messaging. Some churches may not have made the complete jump but they are aware. So, what were some of the digital church comms churches were focused on this past year? Gradient designs and bold, calligraphy fonts. Wider adoption of Online Giving – website, text and apps. Considering a two-website approach (Nucleus or the WP alternative) to share internal announcements more effectively. Some newer chatter about TV Apps with a few vendors making the process easier / cloud-based. Some churches are exploring VR and 360 video in worship. It’s still a novelty for most. Better quality photography, videography and drone photography to tell better stories. 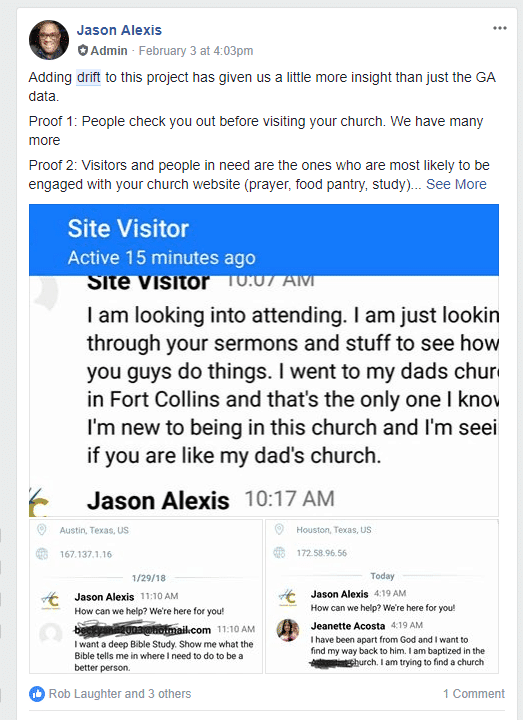 Facebook ads are being adapted more by churches as a supplement or main form of paid marketing—mostly used to promote special events like Easter, VBS, Christmas. So, what’s upcoming in 2018? There are so many things I can cover but I will focus on one of the biggest areas: voice and chatbots. 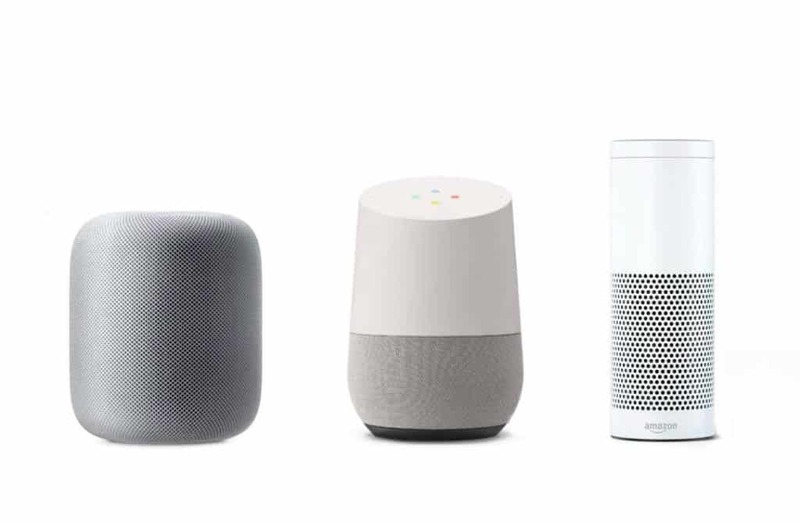 Think Alexa, Google Home or Siri for voice. Alexa is the biggest player and churches are creating “skills” to allow people to connect with their church content on these apps. E.g. “Alexa play Church Central’s Latest Sermon”. However, the biggest form of communication is always going to be text. And chatbots that are powered by some pseudo AI (aka data capture (FKA autoresponder), or digital connect texts, or textbots) are the next big thing churches will attempt to adopt—examples are Google Allo, Amazon Lex and FB chatbot algorithms and addons (ChatFluel or ManyChat). It’s attractive as it seems to save the church time and dispense the information about the church more effectively (if programmed correctly). And it’s not just chatbots. Most solutions come by with an option to be manned or hybrid (automation + manned). You can decide to create an ‘either-or’ option. Imagine someone asking any question about your church timetable or the next event and automatically getting the right answer—without having to spend many minutes searching through your website. Or on FB, you can add a 3rd party app like chatfluel.com to answer your FB visitors’ questions based on pre-programmed answers or even add a great utility where you can register that person for an event or schedule them on your prayer team’s calendar—all via chat. No external links or popups. Just texts. And if they are not helped, you can jump in. Or perhaps you can just turn it all off and be the “digital receptionist”. So, should I jump in? And for those who have doubts about it: Digital Evangelism (communication) isn’t the same as digital enthusiasm. One leads people to Christ and the other focuses on cool tech and what’s trendy. I do believe every church should add a chat option to their website. As mentioned above, most of the recommended chat solutions can be quickly added using a plugin or a few lines of provided code. And the free or default versions give you chat options with a real person behind them with some automation. Check out Drift.com or intercom.io. Intercom.io doesn’t require you to first enter your name to begin chatting—a better experience for your user. How the app tracks the user is through cookies. If that user doesn’t provide their name and they return using the same device, you can still engage. Drift.com is a good option for most churches as you can start free and have up to 100 connections. Nice way to give it a try. I am actually running a 6 month experience using drift.com. It’s not fully automated but I am just starting phase 1. The FB Page chat widget is a good free option but to get the paid automation that drift.com and intercom.io offer, you would need to mirror it with another app like chatfuel. The messages would go into your FB page’s inbox. So yes, jump in. Add a chat option like mentioned above. Ensure you have someone who is there to answer (app/desktop/email) or put it in “away” mode to receive responses and respond at your leisure. Then as a Level 2, begin to play with the chatbot automation as a hybrid option. Churches today are intentional about engaging our first-time guests and church members in personal, meaningful, relationship-building conversations. In fact, we are so on board, that sometimes, it can get a little intense. There’s a feeling we just have to capture every single data point, so that we can group, categorize, and list our contacts every which way in order to not miss a thing. For our contacts, this approach can raise some red flags … kind of the opposite of our mission, right? We’d like to suggest a different way of engagement. Note, this is mostly based on our experience using chat and text automation in our businesses with some limited experience on our church websites. But based on our initial data from churches we work with, it’s clear that the model will work the same. A — automation: Ideally, all churches would have enough staff and time to engage face-to-face with each first-time guest and member but we know the harvest is full and the workers are always few (or budget restrictions or what not). 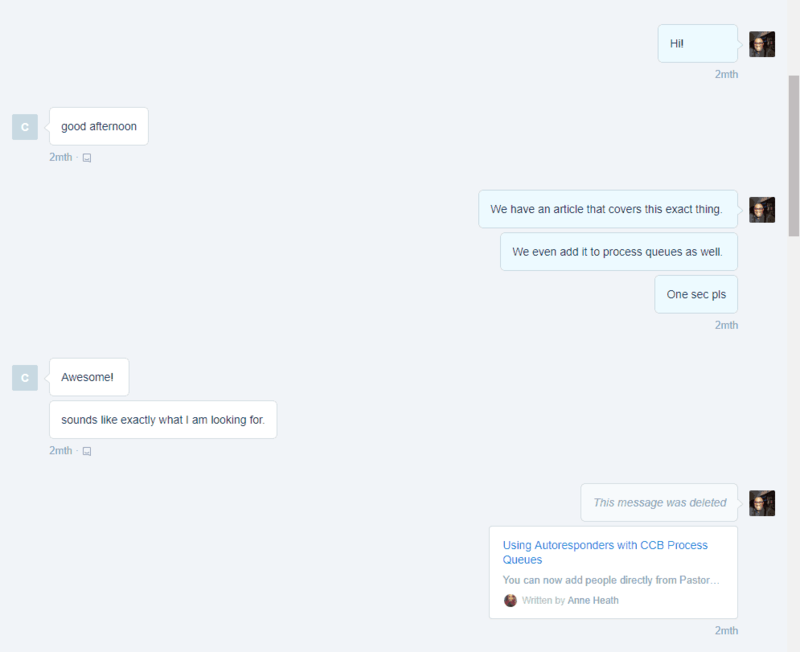 Strategically adding a chat and automation piece to your communication strategy can help. Automation enables you to increase your communication while using fewer resources. Today’s automated conversations (data capture (FKA autoresponder), digital connect texts, text/chatbots) let you build personalized, non-intrusive, guided conversations to get the data you need and move your contacts along to the next steps. We suggest simple, automated chats that mimic real-life conversations: short answers, not too much, next. For texting, check out PastorsLine’s digital connect texts for data capture. V — value: We tend to keep in touch with people who can give us things we need—a pat on the back for a job well done; support when things are rocky; warm words of love; advice for a better future, etc. What value can your church give your contacts? During each and every conversation, whether automated or live, try to provide good value quickly. Perhaps links to relevant resources. Maybe information about what’s going on at your church. Could even be a personal phone call following a data capture (FKA autoresponder) chat to keep the momentum going. The value can be something such as answering their question OR making it easy to join your list or RSVP for an event. Hold the next engagement step clearly in mind and work it into the conversation. Conversations that have ‘next steps’ maintain the momentum. On their side, your contact is moved along to further engagement via an online newsletter, study group, church meeting, etc. On your side, you have a legit reason for a future, non-intrusive chat: “So … did you find the newsletter ok? / get to the study group? / enjoy the meeting?”. R — result: In our case, the end result is getting information. We are looking for personal data such as name, phone number, and email address. At the next level, it might be study group preference, need for prayer, free time for volunteer driving, etc. While keeping your ‘eyes on the prize’, let the result happen as organically as possible. Natural communication is the best. Sometimes we gently ask for the details. Sometimes the info is eagerly offered to us voluntarily. Sometimes it’s a mix of both. A gentleman was interested in using PastorsLine. He got in touch with me via a chatbot and left his question with the data capture (FKA autoresponder) I had set up (Automation). I got back to him personally via chat, answering his question and a few others (Value). 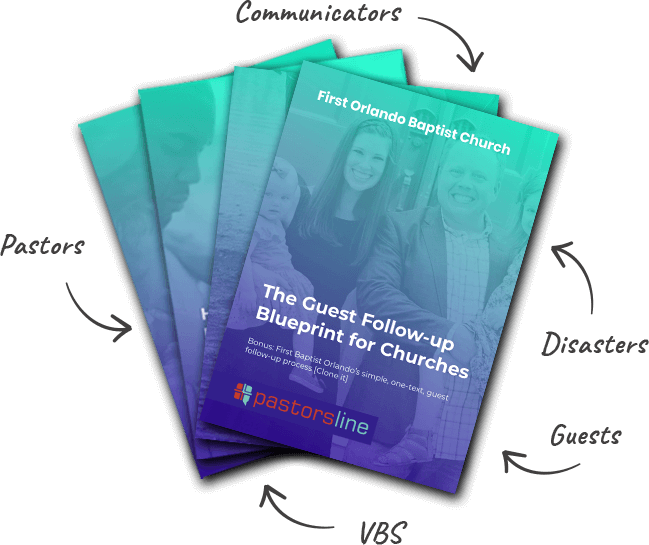 During the conversation, I mentioned that we had some blogs which might help him decide if PastorsLine was the right choice for him (Engagement). At this time, I still didn’t know who I was talking to or had a contact info for contact. He was excited about that but he wanted it via email, so he could use his laptop and not his phone. He gave me his name and email address (Result). AVER can occur using chat widgets or an Alexa skill as mentioned above. I recommend looking into adding that option ASAP. Another form of automation occurs outside of our website via text. PastorsLine already offers digital connect texts and now, we are launching automated messages—not just sending follow-up messages on later days or dates, but being able to capture more data, run polls or push the captured info into your other external apps.